Volkswagen Golf GTD is possibly being tested for Bosch's new diesel technology. 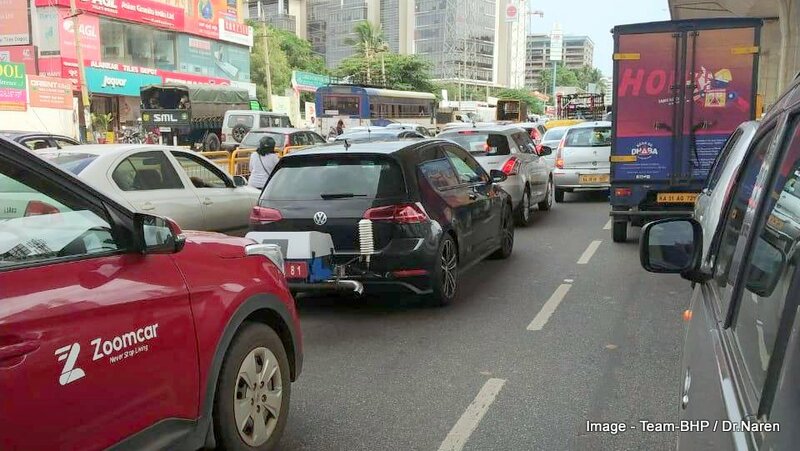 The Volkswagen Golf GTD, testing on Bengaluru’s roads was devoid of any camouflage. It sported a Karnataka temporary number plate and its emission testing apparatus was also evident which looked like what Bosch uses for testing new diesel technology. 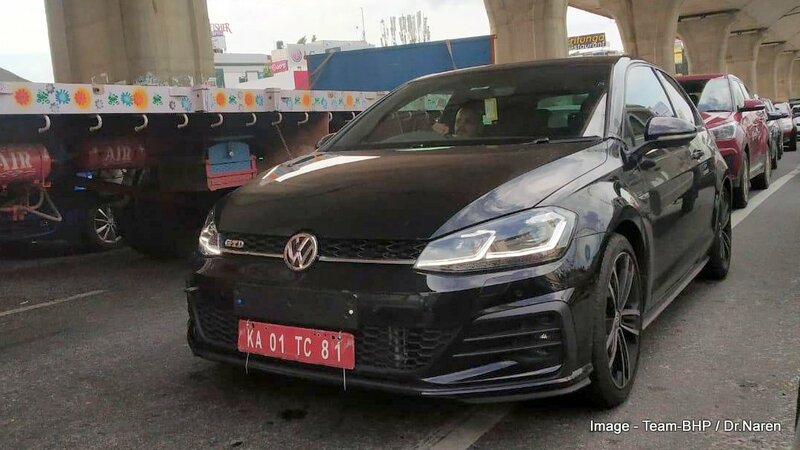 VW Golf GTD was caught testing on camera by Team-BHP member Dr Naren. It is based on the company’s MQB platform and is offered in both 3 door and 5 door for international markets, though it would be the five door version which will make its way to India, if launched. The new Golf GTD receives full LED headlamps and tail lamps, sits on 18” five spoke alloy wheels and gets a black mesh grill with GTD badging. Interiors are seen with a well equipped and spacious cabin, large infotainment system, heated front seats, ambient lighting, automatic air conditioning system and 12.3” color screen with navigation display in 2D and 3D. Though Volkswagen India has not given any official confirmation on the launch of the Golf GTD in India, the growing demand for cars in this segment indicate its likely launch. The new diesel technology from Bosch is also being actively tested which is aimed at reducing NOx emissions to such an extent so as to comply with emission regulations that will come into effect by 2020. VW Golf GTD will get its power via a 2.0 liter, 4 cylinder, turbocharged diesel engine offering 181 bhp power and 350 Nm torque mated to a 7 speed DSG automatic transmission sending power to front wheels. VW India currently sells the Polo GTi in India and if this new Golf GTD is launched it could be priced between INR 27-30 lakhs.